We are now carrying SEBO ET-1 and ET-2 powerheads. The powerheads are available in 12″ and 15″ widths and have a four-level manual brush height adjustment. The L-shaped head makes edge cleaning easy, while the spinning roller brush can be turned on or off by a touch of a button to clean between delicate rugs or hard floors. It also has an orange warning light with an automatic shut off if the roller brush has an obstruction. The warning light will remain illuminated during use if the brush height is set too high or if it needs to be replaced due to wear. 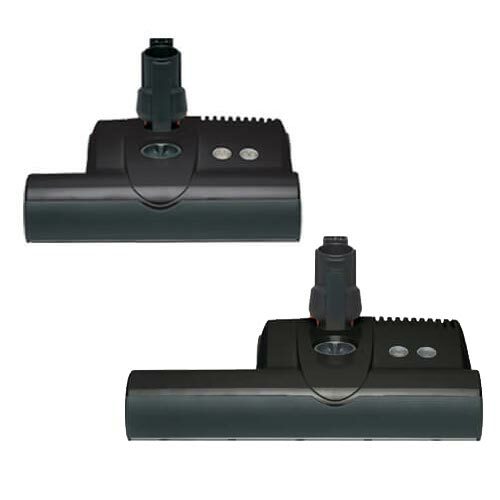 Each powerhead can be used for all SEBO canisters and central vacuums. The latter requires the SEBO central vacuum wand and hose with flush card management. Click here to order a SEBO powerhead from our site. If you have questions please contact our friendly experts at 1-800-533-3249. Don't forget to visit and like our FaceBook page.